Business description - Macpower CNC Machines is engaged in manufacturing of CNC Turning Centers, Vertical Machining Centers, Horizontal Machining Centers, Cylindrical Grinder, Vertical Turret Lathe, Turn Mill Centers, Drill Tap Center, Twin Spindle VMC and also Multi Tasking, 5-axis along with sub spindle. Adding to the solution capabilities, Macpower has also offered Robotic Automation integrated with CNC machines to cope up the demand of technology driven machining excellence. 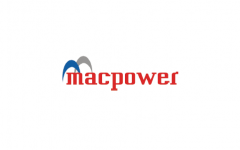 Macpower CNC Machines IPO allotment status is now available on Link Intime's website. Click on this link to get allotment status. Why so high PE rato? ?